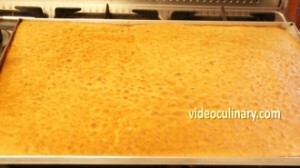 Line a 60×40 cm (24 x 16 inch) sheet pan with parchment paper and brush with melted butter. 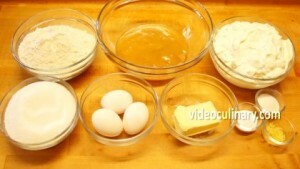 Spread the batter evenly onto the pan. 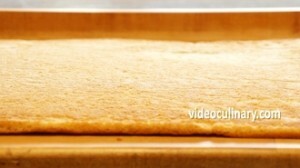 If you do not have a large sheet pan, you could bake the cake in two 30×40 cm pans. 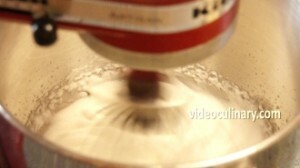 Bake at 180°C (350°F) for 8-10 minutes. 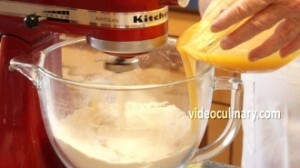 Cool in the pan for a few minutes, invert, remove the parchment paper and cool for a few hours. 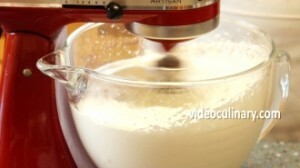 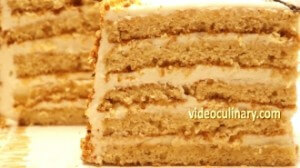 You could fill the cake with cream cheese icing, easy buttercream or with sour cream filling. 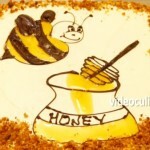 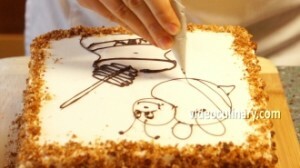 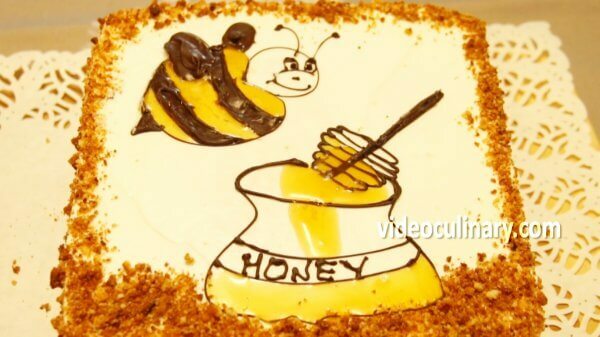 To decorate the cake, we piped a bee and a jar of honey using melted chocolate and honey. 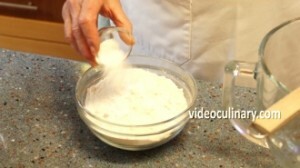 Visit our website to learn how to make a parchment paper cone for piping and decorating.